Rugby game - spot the sidestep! Fun, educational rugby game. Learn about how you beat the opposition with a sidestep. Know what to buy, which clips to look for. Know how to spot a sidestep. Learn how they are a great advantage. - to help you spot a sidestep and understand the advantage you possess when you have one. - to point out ones you may or may not have seen so you can re-live those exciting moments, re-kindle the spirit. What`s all the fuss about sidesteps? - you must have arrived here by accident, stick around anyway, you just might enjoy yourself. Another aim is for you to say to yourself "I want to sidestep!" As you do that, imagine some time from now when you may remember this and say "I sidestep like that!" 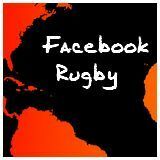 I know where to find loads and loads of good rugby game video footage with sidesteps. Problem - including the footage would infringe copyright. "101 Best Tries" with Cliff Morgan. Another option is to look for the clips on rugby sites or video sites. But just get it anyway! it`s a real slice of rugby history. There are many, many examples of great evasive play on the tape. I`ve chosen the most outstanding for this rugby game and those most easily (for me anyway!) defined as being sidesteps. You`ll see more - that`s part of the magic of sidesteps! How you play depends on how much you want to learn. At some stage compare your thoughts and notes with the notes below on individual sidestep situations. Watch in slow motion. Compare your notes with those below. See what`s happening? Is it a sidestep? Find each sidestep mentioned below and watch them - frequently. Imagine you sidestep like they do. If you love rugby you will really enjoy watching the rugby skills and maybe even follow in the footsteps of these famous rugby players. ...if you want to see them buy the tape or find a clip. 9. Gauweloose beats JPR, no mean feat! 16 Andy Irvine sparks a try by Andy Ervine! This classic England backs movement has everything! England in white shirts running with the ball left to right. It starts on the far side of the field midway between the halfway line and the 22 (was 25 yard) with a classic dive pass from the scrum half. The fly half passes the ball to Duckham at inside centre who immediately	passes to his outside centre, Spencer. Spencer straightens the attack and passes to the England winger who has straightened in support. Meanwhile Duckham, who got away a pass before he was tackled, now loops around the outside and is moving at pace. What`s happened! England at it again! Exciting rugby against Australia. Let`s hope we are in for more of this! it`s not a great one, but he receives a pass. Duckham, a tall man with a long stride and excellent handling skills , reaches back and pulls in the ball from winger Dalton(?). He streaks for the corner - then puts in a short stride which shifts his weight and he steps inside! Then he straightens and ...TRY! It`s all over. He may well have made it going outside but has the skill and confidence to cut inside. It can be crucial. He gives the kicker a much easier shot at goal when he attempts the conversion with a place kick. My VCR says it`s around the 4:26 mark. It has the heading "David Duckham 1969 - England v Scotlland"
Wales in red shirts with the ball playing left to right. He runs again after regathering but then throws a loose pass which goes behind his support. It`s taken neatly on the bounce by Barry John (the greatest Lion of them all(? )), backing up slightly behind the rest of the back line. When you, as a player, throw a pass in this sort of situation, you are under extreme pressure. Things turned out well. Was it simply luck or was Barry John able to take the pass because of clever support play? He stretches out, but not for long. Seeing an England player covering across he realises he`ll not make it on the outside. How does he know? Is it "vision"? Or is it his outstanding skill at reading the game? He quickly shortens stride, clever short paces. He finishes with a two footed skip sideways. He`s past the England defender on the inside. Picking up pace again and carrying the ball out in front in two hands (what I call a two hand carry) he heads for the try line, weaving his way forward. He finishes by sidestepping the England #7 coming across in cover defence just metres from the line and touches down. I`d love to see this piece of play from head on so you can see exactly how the defender was beaten. My VCR says it`s around the 5:38 mark (or thereabouts!). It has the heading "Barry John 1969 - Wales v England"
Barry John footwork on YouTube (if it is still there). Wales in red are running from the right. Bennett defending deep as he so often does, catches the ball 15 to 20 metres in from the far touch line after a kick ahead by England. He sets off running, straightens, and makes as if to stay on the narrower side of the field. In doing so he preserves space for support players out to his left. Approaching the 22 mertre line he is confronted by the England #2 and Bennett sidesteps just as the player comes into the picture on our left. He easily evades the player and draws another England covering defender who has to move in and tackle him as he off-loads to his support. In subsequent play Welsh #14 Gerald Davies is seen using some great elusive running to evade tackles from Englands number 12 and 11. Eventually the Welsh backs sweep into the England half. Gareth Edwards straightens the attack, preserving space outside him for winger John Bevan. Note how Edwards forces the last England defender to tackle him yet because of his great passing technique there is never any doubt about his perfectly timed pass and Bevan strides on to score. My VCR says it`s around the 11:18 mark. It`s heading is "John Bevan 1973 - Wales v England"
The Barbarian (All Stars) team are playing left to right. Duckham gets the ball near the 10 metre line close to the near touchline after a New Zealand kick looked as though it would find touch. He gathers the ball and winds up his speed as he goes past Gareth Edwards the Barbarian number 9. Watch his beautifully balanced running as he slaloms his way through three New Zealand defenders and then beats a fourth would-be tackler. A great piece of play follows. The Welsh flanker Quinnell takes possession and gets the ball to the backs who have arrived to support. Quinnell passes to Dawes, Dawes to Williams. Williams passes to Gibson and sets off to loop behind Gibson. Gibson dummies and shakes off a couple of tacklers before getting the ball away to Slattery. JPR has only the full back to beat. Slightly before Williams cleverly feints towards his left, he takes a shortish pace with his right leg. This helps in throwing his weight as he sidesteps right. Although the defender undoubtably knows where Williams is going, the change of direction is so significant he leaves the defender sprawling. JPR goes in to score. You can also see it on YouTube. Ireland in green shirts and playing right to left are away to Wales. The Irish players are well inside the Welsh 22 and the pressure is mounting. This is the ideal area for breaking the line. You can do real damage. Do something out of the ordinary in a position like this and you can affect the result of the game. The Irish #12 Mike Gibson gets the ball and heads for the Welsh try-line ..."Maloney to Gibson" says the commentator. Gibson runs on and becomes framed on the screen between two of his supporting players. At this point he throws a vicious sidestep by taking a small step with his right leg and throwing out his left. His potential tacklers (#14 and #15) can`t even lay a hand on him. His move then fires him between two wrong-footed tacklers. The explosive nature of his sidestep and the ability do do it while maintaining momentum enabled him to crash over despite the four Welsh defenders attempting to stop him. My VCR says it`s around the 17:16 mark. The heading is "Mike Gibson 1973 - Wales v Ireland"
A great deal is made these days of planned moves. Here is the alternative. Players using brilliant individual skills to break defence. Towards the opposition goal line is the place to try out your tricks. If you are successful you get a try. If not there won`t be too much damage done in terms territory gained or lost. Wales are in the red shirts playing left to right. Following a scrum near the centre of the 22 metre line. #14 Gerald Davies carries the ball forward. With a short stride with his left leg and a thrust from his right leg he produces an explosive sidestep. but gets caught by a third before he reaches the try-line. Terry Cobner backing up is right there (see rugby support play). He goes over to score, TRY! Good backing up - nice try! This unusual piece of play highlights an unusual situation. Phil Bennett in the fly-half position and owner of a wonderful array of rugby skills, knows when it`s on and when it`s not. In this case he knows he can`t do anything and simply passes the ball to his support - maybe they can do something. It turns out they can! It`s an unusual situation - two brilliant sidesteppers in the same team. The first one can`t do anything, passes to the second one who promptly produces a piece of magic! Of course it`s not magic. The situation is there for all to see and use to advantage. Make sure you are one of those players who has vision and fantastic evasion skills. My VCR says it`s around the 18:38 mark (roundabout!). It has the heading "Terry Cobner - 1974 Wales v Scotland". France in blue shirts are playing right to left. The English full back would have positioned himself far enough back in his own area of the field to defend against a clearing kick (spiral punt). In doing that he has left open this opportunity for the defenders to make a shorter, riskier kick to get out of trouble. Romeu hacks the ball ahead and races after it. Romeu picks up the ball and sprints towards the English full back, who is just out of picture to the left. "Brilliant pick up by Romeu" says the commentator. The full back shows Romeu the touch line, a useful ploy in rugby. This ploy involves leaving enough space between yourself (tackler) and the touchline to tempt the attacker into believing they can get through the gap. At the same time you are completely confident you have the speed and ability to either tackle your opponent or force them into touch. The touchline helps you restrict your opponents ability to avoid being tackled. Imagine yourself in that situation, pushed closer and closer to the sideline, knowing one foot on the line and your attack is all over. But Romeu has other ideas! He also has the skills you need. With a short step on his left leg and a thrust of his right leg Romeu sidesteps left just as he crosses halfway. He persuaded the English player he was going for the gap inside the touchline, but then used his skill to do exactly the opposite! The England player is left grasping at air. Great sidestep! That`s France rugby 1974 but not many other years. with Romeu dummying several times before passing. to Jean-Pierre Romeu backing up, who goes in to score! My VCR says it`s around the 21:15 mark (it varies slightly). It`s headed "Jean-Pierre Romeu - 1974 France v England". Gauweloose beats JPR, no mean feat! Argentina are playing left to right. The ball has gone into touch (crossed the sideline), so play must be restarted. For details see basic rugby rules. This requires a line-out near the Argentine 10 metre line. Nothing like the lineouts of today because lifting was not allowed. Players simply had to jump by themselves in those days! The ball is not caught cleanly by the forwards in the lineout. Instead it`s tapped down to the poor scrum-half. It`s scrappy ball from the line-out and Argentina lose metres. This means that Argentina, despite gaining possession, are on the back foot. Any more errors at this point and they may be driven back deep into their own half. But he ball is cleaned up and things improve. With some good passing and good catching the ball moves across the 22 metre line to the Argentine fullback who has chimed in. Great support play! He claps on the pace but can`t get away. Wales fly-half #10 Bennett, brings him down with a copy-book diving tackle at full pace. Oh dear, it`s not good for Wales! The ball has been slipped away already to winger Gauweloose so the break out by Argentina continues and approaches the half-way line. Gauweloose straightens and makes to go in-field. giving JPR Williams no chance - no mean feat! Great sidestep! That`s Argentina rugby 1976! and lopes in to score from the 22 metre line. My VCR says it`s around the 36:44 mark (it seems to vary a little!). It has the heading Jorge Gauweloose - 1976 Wales v Argentina. Argentina are in their famous blue and white hoops. They break out from their own 22 metre line. They seem to make a habit of doing this! It`s amazing how often teams prepared to pass the ball in order to break out of a difficult situation turn the tables on the opposition. A long, high, looping pass from Travaglini finds Varela (#14, Daniel Beccar Varela) near the Argentina 10 metre line. You`ll not find this pass in many books and I don`t cover it exactly in the pages on passing, but if it finds the target it`s a good one! He sprints clear with the Welsh defense in disarray. which throws him violently left. and he avoids the tackle attempted by #11 JJ Williams. to Gonzalo Beccar Varela (one of the stars of Argentine rugby 1976). who streaks away and scores! JPR Williams trails him, he just keeps going. He knows it is important to keep the try scorer as wide out as possible to make the conversion more difficult. Well worth the effort. You can save two points! Look for it at 37:21. The heading is "G Beccar Varela - 1976 Wales v Argentina". Wales in their usual red shirts playing left to right. #10 Phil Bennett on the Irish 22 metre line. Danger for the Irish! In this sort of situation, decisions made by the players are vital. You must have a great knowlwdge of the game - what is possible and what is not possible. Reading the game well and seeing the Irish defense in position Bennett quickly switches play. He knows it will be fruitless to continue, that`s why he starts ahead and to the right behind the breaking maul. slips between two more wrong-footed Irish players. It`s amazing how one difficult to detect and a seemingly innocuous movement can wreak such havoc in a well organised defence! Welsh #12 gives a clever pass behind his Irish tacklers. Using passes like these to keep the ball alive are hallmarks of what is known as running rugby. before diving over the line, TRY!! My VCR says it`s around the 38:46 mark. The heading, "Gerald Davies - 1977 Wales v Ireland". There`s plenty of play in this clip before the Welsh get the ball. Scotland are attacking but turnover the ball and end up being punished for it. Gerald Davies gets the ball. (normally he would be out on the right wing). and palms the third Scotland defender. players in support who quickly make ground. sets Bennett against the remaining defenders. He cleverly steps two defenders with the same movement. The defense is left sprawling on the ground. and scores under the posts. Great sidesteps from two great players! My VCR says it`s around the 41:59 mark (may vary a little). The heading - "Phil Bennett - 1977 Wales v Scotland". I`ve also seen it on video clips around the net. It`s here on YouTube - if the poster has not removed it!. This shorter version doesn`t show the lead up play by Scotland or the turnover. Wales in red shirts are playing right to left. This is a good example of kicking away possession and it coming back to haunt you. Kicking in rugby is a very useful skill. When used wisely you can put pressure on the opposition or use it to get out of real trouble. You can also use the many different types of kick to gain advantage. But you must remember, you need possession of the ball to score. Keep it and you are more likely to be the next team to score. Usually you only want to kick as a last resort - you no longer have possession! Being an expert at reading the game he is in good position for catching the high ball , kicked ahead by Scotland. He gathers the ball between the Scottish 22 and 10 metre line. Good Sidestep! - he looks dangerous! By making ground quickly and cleverly, Williams has given Wales momentum. then he`s over to score! You make things happen when you have a sidestep and you attack. My VCR says it`s around the 46:17 mark (it may vary). It has the heading "Derek Quinnell - 1978 Wales v Scotland". What a shame Quinnell didn`t have a sidestep! Wales in red tops playing left to right. We don`t see the cause of the stoppage in play, but the game is just about to be restarted. Wales are putting pressure on the French, packing down a scrum just 5 metres out from the French line to the left of the posts. France has the put-in and would normally expect to get the ball, but the Welsh forwards wheel the scrum and it begins to break up in disarray. 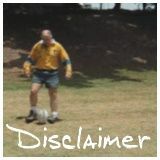 Neither scrum-half has a clue where the ball is so it`s unclear what will happen next - re-pack the scrum you may think. Suddenly the ball is passed from the far side of the scrum. It looks as though a lock forward (#5) has simply picked up the ball from near his feet and decided to pass rather than bullock his way over - that doesn`t happen very often! The ball goes to Bennett who takes a few strides across field. he`ll pass - long, out wide. But it`s a dummy /sidestep combination! as he flashes in to score. Fantastic step! - or is it a dummy? Nah, it`s a STEP! My VCR says it`s around the 46:49 mark (give or take a bit). It`s heading - "Phil Bennett - 1978 Wales v France". England in white tops as usual, playing left to right. It`s a lineout for Argentina on the far side of the pitch. They get to throw in but England steal the ball with a nice tap-back to the scrum-half. After a couple of passes in the backs, England decide to straighten the attack with a crash ball up the centre of the field. A bit of scrambling play by the forwards follows before the ball is sent out to Horton, the England flyhalf with the Enland three-quarters lined up outside him. Horton is forced to change the point of attack when faced with the Argentine backs up quickly in defence. He skirts the Argentinian forwards with a jinking run across field, keeping the ball alive. He beats three defenders in succession with three sidesteps and manages to fight off a couple of covering forwards who tackle him close to the line. They fling him to the ground just before the goal-line but momentum carries him over. A try is awarded not far from the posts. My VCR say it's around the 47:55 mark (it varies a bit). It has the heading "Peter Squires - 1978 England v Argentina". You`ll find out at Evtechs our evasion techniques page. Andy Irvine sparks a try by Andy Ervine! Scotland are in their dark tops and white shorts playing right to left. A scrum on halfway and the Welsh get to put the ball in. The ball comes out of the scrum nicely for Wales but the scrum-half is put under severe pressure by his opposite number. The pressure results in a hurried pass which in turn puts the Welsh fly-half under pressure which he attempts to escape by kicking. The kick is not good! The kick is charged down by a Scot harrassing the kicker. But Wales recover. They scramble and manage to hold their position. Again the ball is sent out to the fly-half. Even though he`s under less pressure this time, he again decides to kick. It`s neither a long searching kick nor a shortish chip for chasing. It`s a bit of an aimless kick, no real intention. The result - Andy Irvine the Scottish fullback is under no pressure at all. He takes his time, gathers the ball and begins to run. He has already made 10 metres befor he encounters a lone Welsh chaser. He beats his opponent with a lovely sidestep and makes another 5 metres before switching play, giving the ball to a forward running in support. Other forwards become involved, attacking their Welsh counterparts. Unfortunately for the Welsh they are in disarray, having failed to recover properly from the charge-down and facing an unexpected counter attack. Fly-half Rutherford makes a clean break, straight up the middle of the field because of the disorganised defence. Scottish players carry the ball on down-field, one of the forwards linking to the supporting backs with an overhead lob. The final pass leaves the ball with Irvine, the player who started it all with his adventurous sidestep. What does he do - he finishes it off with a little jink inside. Great play, great sidesteps, great try, great Scottish rugby! My VCR says it`s around the 49:38 mark. "Andy Irvine - 1979 Scotland v Wales" is the heading. Imagine how good it is when you see it from the inside! Wales in red shirts and white shorts playing right to left. We open with a Welsh lineout just their side of the halfway line on the near side of the pitch. After quite some time in the air the ball comes down only about 20 metres ahead of the kicker who has followed his kick, putting everyone onside. No one catches it. The luck of the bounce favours the Welsh and their forwards take control of the ball. It`s then given to the scrum-half whose loose pass is eventually gathered by one of the backs running on and collecting it as it bounces. Like any good full-back he can recognise a scoring opportunity and has made sure he is available to carry on the attack. He makes 5 quick metres before being confronted. Being a skilled and slippery customer JPR puts in a sidestep, throwing off his would-be tackler and making another valuable 10 metres. Thats all he needs - just a bit of space! It gives him just enough time and space for his next brilliant play. He executes a perfect little chip kick behind the oncoming defenders and weighted perfectly for his winger in full flight down the touchline. Pop! Straight into the outstretched arms of the flying winger who crashes over the line. All made possible because JPR was able to buy himself a bit of time and space with his sidestep. Something out of nothing! Well, out of nothing except years of loving practice! Get a sidestep of your own on our EvtecHs page. My VCR says it`s around the 50:21 mark. Headed "Elgan Rees - 1979 Scotland v Wales". sidesteps create an advantage, however small.